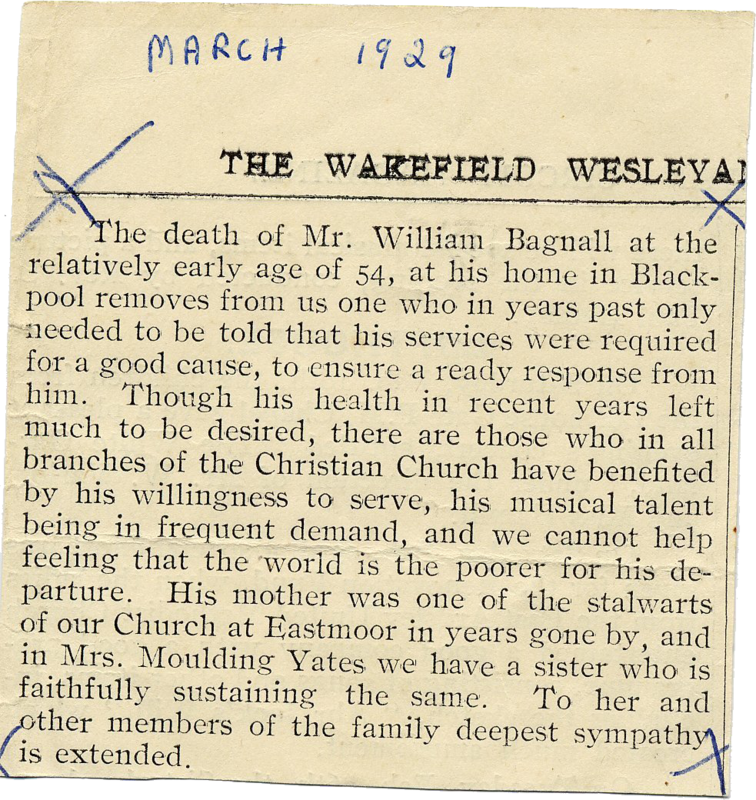 The death of Mr. William Bagnall at the relatively early age of 54, at his home in Blackpool removes from us one who in years past only needed to be told that his services were required for a good cause, to ensure a ready response from him. Though his health in recent years left much to be desired, there are those who in all branches of the Christian Church have benefited by his willingness to serve, his musical talent being in frequent demand, and we cannot help feeling that the world is the poorer for his departure. His mother was one of the stalwarts of our Church at Eastmoor in years gone by, and in Mrs. Moulding Yates we have a sister who is faithfully sustaining the same. To her and other members of the family deepest sympathy is extended.